Higher Ed Oversight Committee Revisits "Solutions"
At today's hearing of the Joint Oversight Committee on Higher Education Governance, Excellence and Transparency, experts weighed in on how — and how not — to make universities in Texas more accountable and transparent. Today's inaugural hearing of the Joint Oversight Committee on Higher Education Governance, Excellence and Transparency featured national experts weighing in on how — and how not — to make universities in Texas more accountable and transparent. But the gloves really came off during the public testimony. Earlier in the year, controversy erupted when legislators and members of the higher education community, particularly those at the University of Texas, became concerned that university system regents might actually attempt to implement the controversial “seven breakthrough solutions” published by the conservative Texas Public Policy Foundation and promoted by Gov. Rick Perry in 2008. Of particular focus in the debate were proposals to boost productivity by implementing cash awards for teachers based solely on student evaluations and a proposal to split teaching and research budgets, which detractors found antithetical to the mission of a research university. Legislative leaders responded by establishing the joint committee to look into some issues brought forth by the controversy, such as the role of regents and how best to improve the quality of higher education. One of the most vocal critics of the "solutions" has been state Sen. Judith Zaffirini, D-Laredo, who serves as the co-chair of the committee along with her House counterpart, Rep. Dan Branch, R-Dallas. She remained firm in her criticism during the daylong hearing and said that many of the issues raised were not new to higher education matters, and that the controversy they caused was due to how they were initially presented. “I worry that some who use the world ‘reform’ in this context imply that higher education is broken or corrupt and must be reformed," Zaffirini said in her opening statement. "Higher education in Texas needs to be improved or strengthened, but it is neither broken nor corrupt." “Such criteria are ill-suited for universities because they reduce the classroom to an assembly line, the library to a book depository, and the lab to a for-profit business,” Rawlings stated during his testimony. Rawlings said the research conducted by universities must be valued because it promotes the critical science, engineering and math fields. Aims McGuinness from the National Center for Higher Education Management Systems, another invited guest, said the difference in size and missions of universities within a system prohibits a “one size fits all” policy for schools. He also recommended increasing the size of the Texas Higher Education Coordinating Board from nine members to “at least 15 to 20” to better reflect the state's size and diversity. Arlene Wohlgemuth, executive director of the Texas Public Policy Foundation, later testified during the public portion that the foundation is now pursuing four proposals that stemmed from the original plan: a blended learning strategy that involves more online instruction, a "productivity dashboard" measure that intends to provide greater transparency, incentive-based compensation for faculty, and "an overall focus on efficiency and resource utilization." “We want to show the way toward a more effective, innovative, and financially sustainable method of higher education,” Wohlgemuth said. Several former high-ranking university officials in attendance also testified before the committee to express some of their concerns, including many members of the Texas Coalition for Excellence in Higher Education — which opposes the "solutions." 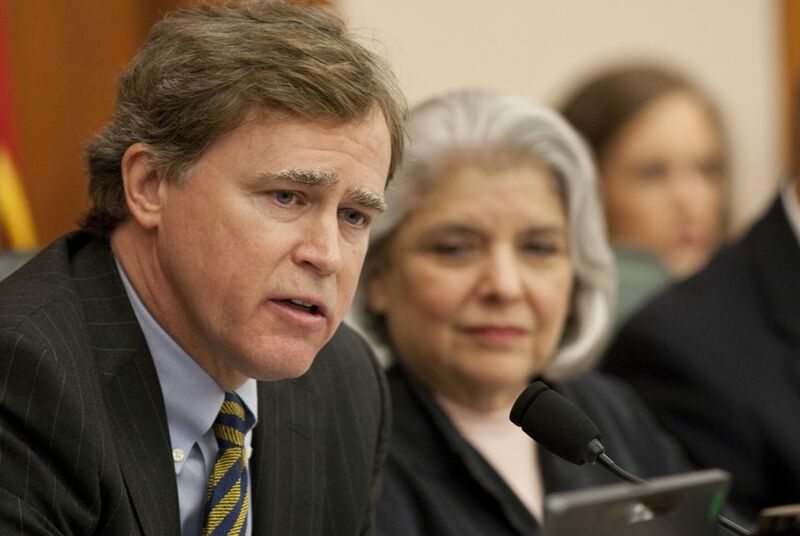 One such coalition member, Pamela Willeford, a former U.S. ambassador to Switzerland and former chairwoman of the Texas Higher Education Coordinating Board, said, "Although I am a long term supporter of the governor, I am very concerned these are bad ideas and would be harmful to our universities." Peggy Venable, Texas director of the Americans for Prosperity Foundation, a conservative advocacy group, said organizations such as hers and the Texas Public Policy Foundation have "every right and every responsibility" to push for higher education reforms. "There seems to be this be this effort to circle the wagons and protect the ivory tower," she said. The back-and-forth will likely continue as more meetings of the committee are anticipated this fall.